You will know when you find the right fit for your health and wellness needs. It will just feel right. Join our Crew full of people who have already found the right fit for them here at Concentric Fit. Led by certified fitness trainers that care, let us guide you on your journey to reach your ultimate health and fitness. Welcome to Concentric Fit and welcome to the Crew. We created Concentric Fit with the mission to help people uncover the best version of themselves and live a lifestyle committed to empowering others. We understand the feeling of wanting to make positive shifts while feel lost about the first step. Concentric Fit is designed to give people guidance and education to create a healthy life in all the aspects that ultimately make health. Our name and logo says it all… “concentric:” circles inside circles (also the upward portion of a movement). The outward circle is the beginning of your journey. The starts and stops. The trial and errors. Eventually, the real movement begins and the circle becomes more solid. Health is made up of many things. As we expand, we hope to fill many of the circles that make up total health. 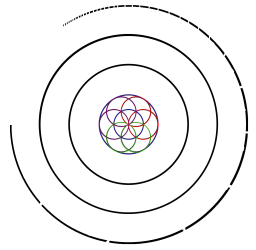 At the heart of our design is the seed of life, which represents creation. Together, we can help create self-confidence, body comfort, and effortless health we are all searching for. Read about our coaches and founders here. Functional Fit is a strength and conditioning small group class inspired by the practicality of fitness. At Concentric Fit, we want what you learn in the gym to easily translate to your every day life. Each class is different, engaging, and adaptable for all levels. 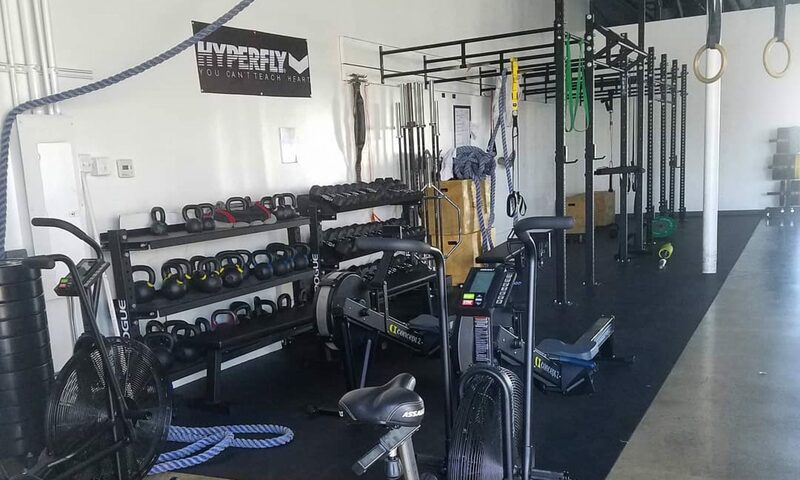 The program includes: mobility, weight lifting, body weight exercises, kettle bell training, speed conditioning, stability training, martial art warms up and specialty drills, hand eye coordination, flexibility and more. Class size is kept small to keep the quality of training and instruction high for everyone’s needs. At the end of each month, we give a Month of Greatness award to the student creating personal greatness on their health journey inside and out. The first class is free! Please come at least 10 minutes early to sign in. We have different packages available for everyone’s needs and training frequencies. Our body is our only true home for the duration of our life. We believe feeling good in it and treating it well are the priority. Let us help guide you to ultimate health. Receive one-on-one instruction personalized for your fitness and health needs by our certified coaches. Personal instruction can resolve and bypass individual’s blocks to success more quickly. Together we can explore the areas that are hindering growth and create effective strategies for success. Our coaches are committed to make our students educated and self-sufficient with their own health and physical activity. We’re here to do our part by guiding, instructing, and empowering you. You just have to show up and do your best. Looking for something more with your health routine? Have you tried everything and have never been able to sustain your progress? Check out our handcrafted, one of a kind Em+Fit Program. Em+Fit is an emotional health + fitness program designed specifically for those who have tried every diet and exercise routine without long term success. Learn more about it here.